Published earlier in 2011, this book now appears in its second and enlarged edition in 2014, published by Oxford University Press, New Delhi. The second edition has an added Part IV on ‘Some Contemporary Concerns’. Mahatma Gandhi holds an eminent position in the history of ethics and its application to contemporary concerns. 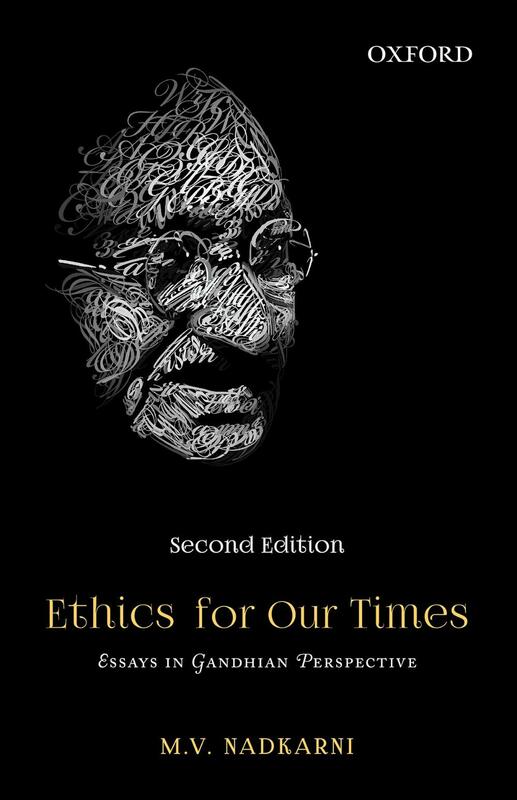 This book brings together in one harmonious whole three systems of thought on ethics – the Indian, Western and Gandhian. It shows how Gandhi, drawing from the other two traditions, made a creative contribution of his own in making ethics richer and more relevant than ever before, both in thought and through living by it. Thereby, he enhanced the ethical consciousness all around the world. Nadkarni explores both the theoretical as well as applied ethical issues. He analyses in detail contemporary dilemmas in the context of modern ethical enquiries on religion, social justice, equity, harmony between faiths, humanism and environmental concerns. These dilemmas are posed by economic growth, business ethics, and gender justice. They arise also in specific policy issues like preferential treatment of socially and traditionally disadvantaged groups, capital punishment and abortion. Nadkarni stresses the need for a holistic approach to resolve moral questions in everyday life. Written in a lucid style with an Indian ethos, the book nevertheless has a universal appeal. It will be of interest not only to scholars and students of philosophy, social sciences and law, but also to all ethically concerned professionals, general readers and policy makers.